The JMP-1 uses a Bourns Digital Contacting Encoder: a rotary control used to change the Patch numbers and parameter data from the JMP-1 Front Panel. It seems that soon after you start using the preamp, usually after the warranty period, the encoder starts to 'skip' and become intermittent. 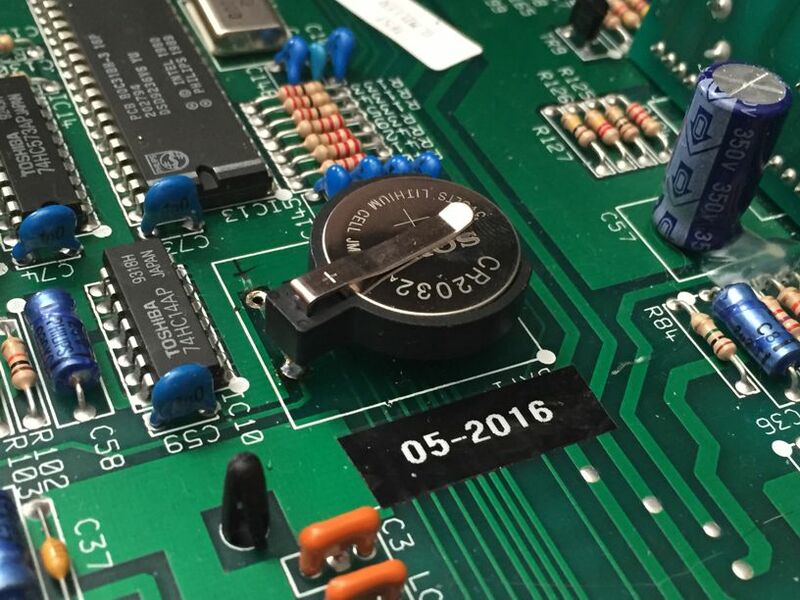 The first thing one would be inclined to do is replace the encoder by purchasing a new part from Marshall Spares or purchasing the encoder from a electronic Parts Distributor like Digikey. I did both to find out that after a period of time the encoder goes wonky again. 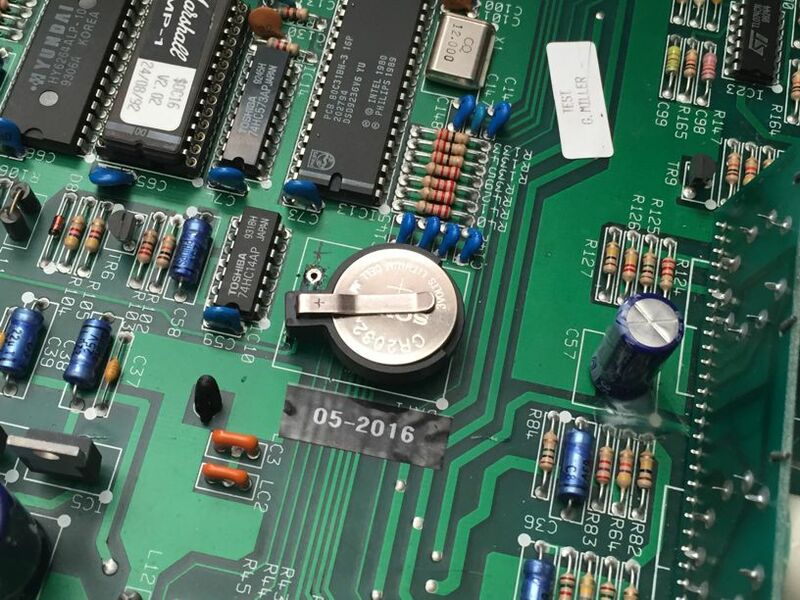 I was prompted by member MKB of the marshallforum.com that the spec sheet for the Bourns Encoder recommends a switch de-bouncing circuit for the encoder to correct the skipping problem... Marshall missed this circuitry which explains why this continues to be a problem. 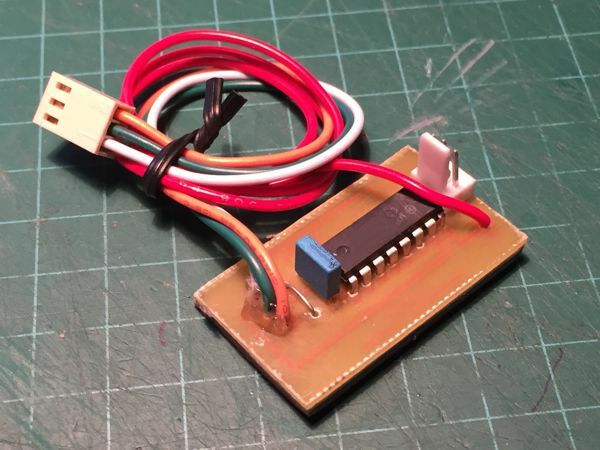 I designed a small circuit board to house the de-bounce 'chip' and associated components including the 3-pin connectors that make the installation plug-and-play; beside the requirement to solder a power wire to a 5 Volt DC point on the JMP-1 PCB. From the factory, all of the JMP-1 Presets are maintained in Static RAM backed-up by a 3V lithium battery when the unit is off. If a user forgot to replace the battery every 5-years or so, all of the presets would be erased and the the user would have to reload the factory presets from the internal ROM. To replace the back-up battery the unit has to be de-racked, the top cover needs to be removed and the 3V lithium battery has to be unsoldered from the circuit board and replaced with a new battery that has terminals welded onto the battery. This can usually only be completed by a service center and future battery replacements involve de-racking the unit again and sending it to the service center. My EXTERNAL mod involves removing the stock Battery holder and running 2 wires from the battery locations on the circuit board to a 2 x AAA battery holder mounted on the the rear of the chassis. The wires are routed through a 9/32" hole drilled in the chassis and a rubber grommet. Changing the two AAA batteries is a snap as the unit does not have to be removed from the rack...if you are fast, you can replace the back-up batteries without erasing the memory! If you are slow, once you have removed the back-up battery your presets are toast so you must remember to do a bulk-dump of you presets to a MIDI Manager/ Librarian. I use the Midi Tool Box App on my iPhone© with an IK Multimedia® iRig MIDI© appliance to store the sysex data for all of my FX processors and any FX processors that come in for modification. To replace the back-up battery the unit has to be de-racked, the top cover needs to be removed and the 3V lithium battery has to be removed from the lithium battery holder and replaced with a new one that will last over 5 years... easy!